A little while ago I was contacted by the writer of a blog called ‘Fugue for Thought’, Alan Missroon, who wanted to know whether I’d be happy to be interviewed for the blog about the viola and my experiences of playing it. Of course, I said yes, so here’s the resulting interview – there were lots of very in depth questions, so if you don’t get through it all, don’t worry! It covers subjects such as: why I started playing the viola, my favourite pieces for viola, the viola’s role in chamber and orchestral music, differences between the violin and viola and in techniques of playing them, life as a musician and a lot more! The blog is also fascinating, if you get a chance to have a look around – for example, I learnt that July 28th (my birthday) is the day that both Vivaldi and Bach died. I’m so glad to have our second interview for our (roughly) monthly series on the members and sections of the orchestra. Part of the reason I am always beyond thrilled and giddy to prepare and read these is that I just love people who know what they’re talking about. It is so exciting to me to hear people speak on what they are passionate about and know intimately, and our guest today, Ms. Wyatt, has wonderfully insightful answers to my questions about the viola. You can have a look at her website here. 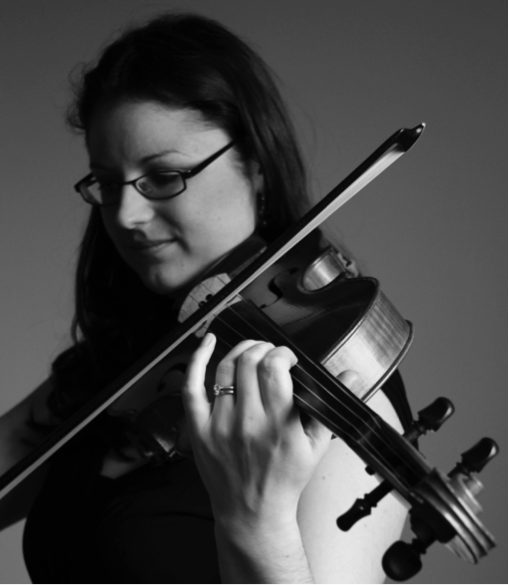 While the viola has been described as “the Cinderella of the strings,” Ms. Wyatt assures us that it is an exciting, challenging and beautiful part of the orchestra, and I was thrilled to have a chance to hear her insight on her instrument of choice. I’m so glad to have you with us here today, Jess. Let’s get started! 1. What is your first memory of the viola? Is it what you started on? Tell us about that decision. to buy me a small viola (the same size as a full size violin but definitely viola, not a violin strung as a viola – we’ll talk about the differences later!) if I passed my Grade 5 violin exam. I had started violin aged 8, and remember pestering my mother for a good while before she would let me start lessons – she used to sing in a local choral society, and as a child I would go along to concerts and would sit fascinated, watching the players in the orchestra. When I got it, I was so proud of my new viola – I had passed the exam with flying colours, and my dad had to go to London to a special shop to get the viola, and I was very excited to try this new instrument. Of course, I had to learn to read the alto clef, but that didn’t prove too much of a problem and I think from my first days of playing the instrument, I was hooked on its sound – mellower and rounder compared with the violin. 2. Does a violist use the same etudes and practice material that a violinist would use? We will talk about some of the differences between the two instruments in a bit, but it seems the viola has a limited enough repertoire. Do you resort to using exercises written for violin? I would also think differences in technique may require more specific exercises. Violists, as you say, have a much smaller repertoire than violinists, so yes, we do tend to borrow from the violin repertoire! Studies and technical material, for example the famous violin studies like Kreutzer, Paganini, Sevcik, Wohlfahrt and the Flesch Scale system have all been transcribed for the viola and are considered core material for the development of basic technique. But there are some viola specific etudes too – Campagnoli’s 41 Caprices, Watson Forbes ‘Daily Exercises’ and Palaschko, as well as an increasing amount of material being written for viola by both violists and composers – for example, Garth Knox’s Viola Spaces which focus on extended techniques. But it is important to bear in mind that many violists learn to play the violin before transferring to the viola, or indeed play both instruments, so the overlap of knowledge, techniques and abilities between the instruments is substantial. Having said that, there are aspects of playing the viola that are technically more challenging than the violin and thus require more attention and work – using studies, scales and whatever else comes to hand! 3. Tell me a bit about the differences between the viola and the violin, aside from ‘bigger’ and ‘lower’. I know that being slightly larger brings with it some unique differences. Also, how is it that many people find the tone of the viola to be ‘nasally’ or ‘whiny’ when the violin sings sweetly and the cello is deep and rich? Is it just because of its register right between the two? The viola is the instrument that sits in between the violin’s range (the treble register) and the cello’s (the bass register). It can therefore be considered the alto voice of the string section and often takes on a more harmonising role, sitting in the middle of the texture. Structurally, the viola has a larger body than the violin, allowing more air to resonate inside it, and lower pitched strings – a fifth lower than the violin, meaning that it shares 3 strings with the violin (a violin’s strings from the top are E A D G, and a viola’s are A D G C). The viola’s strings, however, are thicker than the violin’s and harder to make resonate – so the viola player must work harder with the bow and use more weight to make the strings sound and produce a good tone. Because of its larger size, the viola is also heavier than the violin, and the bow is also heavier, with a more robust stick and more hair than the violin bow – all of these things make the viola a physically more demanding instrument than the violin to play, and is the reason viola players have to be very careful with their set-ups to avoid injury due to playing. The viola is a challenging instrument to play – but well worth it, I believe! – as the quality of sound is so beautiful and unique – somewhere between the richness and pathos of a cello, the purity of the human voice, and the sweetness of the violin. I personally haven’t ever heard people comment that the viola’s tone is ‘nasal’ or ‘whiny’ – I can only assume that the viola playing that they have heard hasn’t been of the best quality! The instrument itself has an innate resonance which lends it a greater depth of sound than the smaller violin. 4. I read in one of your articles about there not really being a standard size for violas, and that there is a range of a few inches’ worth of difference in length. Does this not affect the tone quality and/or pitch? That was something I didn’t know, and it seemed odd. What does one consider when looking for the right size? Yes, it is correct that there is no ‘standard’ full size for violas, as there is for most other instruments – for example, a full size violin always has a back length of 14 inches (give or take a few millimetres). With violas, the back length (basically the length of the body of the instrument, excluding the neck) can vary from anything as small as 15 inches to as large as 18 inches, although these are rare and tend to be older instruments (such as Amati and Gasparo da Salo). The pitch of the instrument is not affected by the variation in size, as all viola strings are tuned to the same pitches (even if the string length varies), but the depth and resonance of the sound are affected – the larger the viola, the deeper the sound. I’d say the most popular sizes of viola are between about 15 ½ inches and 17 inches, with most professionals choosing ones of about 16-16.5 inches, depending on the size of the player and the tone qualities they want from their instrument. There is always a compromise when choosing the size of a viola – a larger one will produce a deeper and richer sound, but comes at the price of being harder to manage, so most violists try to find the largest instrument they can comfortably play without over-stretching themselves and causing injury. My viola is 15 3/8 inches (yes, they can be rather over precise sometimes!) but its ribs (the pieces of wood making up the sides of the instrument) are quite deep and so it produces a bigger and richer sound than one of the same size but thinner ribs. In order to overcome the problem of the larger size violas being unplayable, some violists and violin makers have even invented their own patterns of viola which combine the richness of a large viola with a smaller body. Lionel Tertis, the famous English viola virtuoso, invented the ‘Tertis’ pattern of viola, which combines the sound of a larger viola in a more manageable 16 ¾ body length (but that is still quite a large viola for most people!) More recently, makers have tried redesigning the viola, sometimes with bizarre results (David Rivinus’ Pellegrina viola looks like something out of Salvador Dali), but all with the aim of making the viola more ergonomic to play whilst keeping its rich sound. 5. Aside from the specific challenges mentioned above regarding size and larger, thicker strings, etc. are there any other challenges that the instrument presents, either individually or in orchestration, etc.? As an instrument that sits in the middle register, the viola as a solo instrument has to work harder to project itself above an orchestra than either the cello, which has power on its side, or the violin, which has the advantage of a stratospheric range. This means that when violists play concertos with orchestra, the conductor has to make allowances for the difficulties with projection and make sure the orchestra doesn’t overpower the soloist in loud passages. In orchestral works, usually there is less of a problem with projection as if composers want to make the viola come out of the texture, they usually compensate for its middle register by reducing other orchestration at that point, but also in orchestras there are usually enough violas in the section to make themselves heard! 6. Is it ‘easier’ to find openings or auditions for viola parts? I’ve heard it said before that competition is far less fierce for viola chairs than for violin or cello, since there are far fewer violists. Has this been the case in your experience? I would say that in my experience in the UK, due to the fact that there are always fewer chairs for viola than violin in an orchestra, it is almost harder to get a permanent job in an orchestra! There are always more violists around than jobs available, so competition is pretty intense for any job that comes up as they are so scarce. I’ve been at auditions in Scotland where players have come from Europe and even further afield to try and get the job! That said, if you are freelancing, gigs sometimes are easier to come by if you are a viola player – it just depends on the gig, the area you’re in and whether there are lots of players nearby. 7. Tell me about your favorite pieces in the viola repertoire, and why you love them. Did the viola have or does it have a heyday? I can’t think of many famous violist-composers or even pieces. Hindemith and Walton come to mind, and that’s about it. Do you particularly enjoy the viola writing (in the orchestra, not solo) from any specific composer(s)? There are many wonderful pieces written for the viola, but some of my particular favourites are: the two Brahms sonatas Op 120, one in E flat and one in F minor, the Walton Viola Concerto, Berlioz’s Harold in Italy and Schumann’s Marchenbilder (Fairy-Tale Pictures) for viola and Piano. Starting with the Brahms, some might say that these don’t count, as they were originally written for clarinet, but Brahms himself transcribed them for viola and they work wonderfully well with the instrument’s darker tone – especially the F minor sonata’s foreboding first movement. The sweetness of the viola’s A string help to bring out the wonderful lyrical melodies and the long lines in both sonatas, and one of my favourite moments is the grandioso feel of the second movement in the Eb sonata – you can really put so much into it! The Walton concerto is a masterpiece – the ethereal opening with the viola soaring above the orchestra is spine-tingling, followed by more chromatic sections and a dramatic cadenza-like passage of parallel double stopped sixths which you can really pull around to maximise the tension! It is virtuosic yet (mostly) manageable, and is a rite of passage for young viola players, but the work’s poetic, melancholy feel matches the tonal colours of the viola perfectly. The concerto was originally written for Lionel Tertis, the first great virtuoso exponent of the viola and the man who brought the viola to prominence as a solo instrument; ironically, Tertis pronounced the concerto ‘too modern’ and so Hindemith gave the first performance of the concerto instead! I suppose this period from the 1920s until the 1980s, during the lives of Tertis, Hindemith and the other great exponent of the viola, William Primrose, could be described as the ‘heyday’ of the viola – it was finally leaving its role as the ‘Cinderella’ of the orchestra behind and being heard as a solo instrument in its own right. During this period, much viola music was composed – Bax, Bridge, York Bowen, Benjamin Dale and Holst all wrote pieces for Tertis, and Britten and Bartok wrote now the famous Lachrymae and the viola concerto for Primrose. Going back to my favourite pieces, the Berlioz and Schumann are both wonderful character pieces – the first is a programmatic symphony ‘with viola obbligato’, where the viola plays the role of the Byron’s Childe Harolde from his poem of the same name and explores the various scenes in the countryside of the Abruzzi mountains. The Schumann Fairy-Tales are just that – scenes from fairy tales such as Rapunzel and Rumpelstiltskin, cleverly depicted using the full palette of the viola’s colours from melancholy to exuberant. As for composers whose orchestral viola writing I particularly enjoy, I always love romantic works as they often exploit the viola’s qualities well – symphonies by Brahms, Sibelius, Tchaikovsky and Elgar all have great passages written for viola (or ‘viola moments’ as we like to call them!) But unfortunately, these composers also write music that is quite challenging technically (see the answer to question 14 below!) – so in the same piece, you might get a wonderful tune to play followed by a very difficult piece of passagework… Sometimes one cancels the other out! 8. Along with that, what are the typical go-to pieces in the viola repertoire that show up on auditions? It seems Strauss’s Don Juan gets a mention for almost every part. What can a violist expect to see in an audition? Almost all viola auditions will ask for the following (which is similar to what is asked in violin and cello auditions, only our range of pieces is smaller). Depending on whether the audition is for a tutti or principal viola, there may be more or different requirements. Occasionally a piece of your own choice is substituted for one of the concertos or the Bach, but the orchestral excerpts are always going to be one of the requirements, so most players build up a folder of the most commonly requested ones. Some favourites include: the opening of Strauss’s Don Juan, Mendelssohn’s scherzo from A Midsummer Night’s Dream, the opening of the second movement of Beethoven 5th, the exposed soli passage from the first movement of Shostakovich 5, the equally exposed opening of Tchaikovsky’s Pathetique symphony (no. 6), the opening of Grieg’s Peer Gynt Suite, Vlatva from Smetana’s Ma Vlast, sections from Brahms 2nd symphony’s slow movement… I could go on! 9. Does the viola have a better or larger reputation in chamber music? I think of string quartets, I guess, where it makes up a quarter of the ensemble and acts as the tenor voice. I would imagine it perhaps plays a greater role in a more intimate setting like that. How does your role change in a smaller ensemble? In a slightly less related vein, what’s it like (more as a musician in general than a violist) rehearsing an opera? That seems far more complicated than rehearsing for a symphony, which is often a large work to begin with. As for rehearsing an opera – yes, it can be a pretty complicated business! For the most part, how it works is the singers will have been rehearsing with a repetiteur (a pianist who specialises in opera accompaniment) while they are learning the score, and the orchestra will rehearse the orchestral parts separately. Then, when the singers are ready, both elements are brought together for a ‘sitzprobe’ rehearsal where the singers simply sing through their parts with the orchestra. Then the rehearsals become more detailed, building up to dress rehearsals and performances. I find playing opera fascinating, but at the same time a little frustrating, as nine times out of ten you can’t see what is going on! 10. Are there any situations where something has been written for the viola that shows the composer doesn’t really have a thorough understanding of the instrument? I would assume the glaringly obvious no-nos like unfeasible double stops or writing in Eb minor that are the same for the violin would also apply in this case, so that shouldn’t be a problem. Occasionally, composers do write impossible double stops or chords or ultra-fast passages that are really really difficult, but generally (in my experience anyway) composers are pretty good at understanding the limitations of the viola and what it is best and worst at doing. Some twentieth century composers like Birtwistle, Stockhausen and others who write atonal music do write passages that make you think, ‘Really? !’ but then you remind yourself that it is usually just an effect and so a close approximation will do! 11. What does a ‘decent’ viola run these days? I understand (at least good) string instruments, like good wine, get better as they age, so price isn’t necessarily indicative of quality. But what would a music major have to shell out to get a fine instrument? Ah, the old price question! I guess it depends how much you have in your pocket to spend in the first place! But as a guide, most decent violas probably start at around £3000-4000 and can reach up to millions of pounds (you may have seen the recent publicity around the sale of the MacDonald Stradivarius viola, which was on the market for $45m but failed to sell). It depends also on whether you are set on a fine old instrument, which will typically cost more, especially if it is by a well known maker, or a modern instrument, which tends to make your money go further (although of course there are less and more expensive makers). Opinion is still divided on whether old instruments sound better than modern ones, but many players are starting to buy new or recently made instruments as the differences in sound are getting increasing smaller. One advantage of a modern instrument is that you get the chance to hear the sound of the instrument mature and develop as you play it. My viola is a modern viola by Juliet Barker, made in 1997, and I love its sound; since I’ve had it (about 5 years) I’ve definitely noticed improvements in its tone. Of course, don’t forget that players also have to purchase a decent bow to go with their instrument, which can again be expensive – a good student bow is probably around £500-£1000. 13. I imagine someone walking into a rehearsal (almost like a blind date) and jumping into a piece you are probably already familiar with (otherwise adding a new layer of unfamiliarity! ), and trying to settle in with an ensemble and director whose sound and style you may not be entirely familiar with. What’s that like? Freelancing is very common, at least in the UK, for the reason I mentioned before – there are just not enough permanent jobs to go around. An orchestra will build up an ‘extras list’ of freelance players by holding auditions, and these players will be called up when there is a space in the section, usually because of sickness, players taking holiday or because the orchestra is doing a work that needs larger forces. The notice period that the extra player is given may vary, from being planned a long time in advance (when orchestras know that a particular player is unavailable) or very last minute, when someone is off sick. You’re right, that there is an element of the blind date in freelancing, in that you’re not sure what to expect if it is your first time with the group and/or conductor. But most orchestras have a wide range of guest conductors, and are used to having freelance players in their midst, so they are geared up to the challenges of continually adapting to new situations and making players feel at home. As a freelance player, the challenge is to fit in to the section as quickly as possible and be as prepared as you can before the rehearsals so that you can concentrate fully on the conductor’s beat and suggestions, and follow your section principal and the concertmaster as closely as possible. There’s no doubt that doing all of this is pretty daunting, and freelance players have to be on their toes continually to adapt to each situation as fast as possible – but you do get used to it! 14. As a string musician in the ensemble, what style or era of music presents specific challenges for you? What is really challenging? I think of pieces like Stravinsky’s ballet music, notably the Rite of Spring, which was considered practically unplayable at the time, but has now reached a level of familiarity in the repertoire to make that seem silly. From your perspective, is there a composer or a style or even a specific symphony that especially presents challenges in interpretation, execution, or even just playing? As a viola player (but I think this would be true for violinists and cellists as well), I would say that the symphonic music of the late Romantic and early twentieth century periods is some of the most difficult to master – for example, composers like R. Strauss, Mahler, Elgar, Rachmaninov, Stravinsky, Ravel. This is simply because these composers liked to push the limits of what the instruments in the orchestra could do in terms of virtuosity, and wrote music that had many more extremes of tempi, dynamics and emotion than earlier music. Works like Strauss’s Alpine Symphonie, Ein Heldenleben, Rachmaninov’s Symphony No 2, Elgar’s Symphony No 2 and Maher’s symphonies are huge works that present many challenges technically and physically – not least because they require enormous stamina from the string players, who are rarely given any bars rest. Twentieth century and modern works are also often very difficult to play, as composers took their ideas even further and started to use extended techniques, aleatoric elements (where the music is based on chance) and to write in more obscure and atonal styles, meaning that the music is much harder to understand and pitch for players – particularly in music by composers like Birtwistle, Stockhausen and Webern. I recently played in Britten’s comic opera Albert Herring, which used a small group of players meaning I was the only viola. The music was brilliant and very witty, but since the tempo, key and time signatures were constantly changing, I had to be extremely alert and count all the time to make sure I was in the right place! 15. What makes up a day in your life? Rehearsals, your own practice, teaching; I think of these things as the main components of the musician’s life, but that may not be right. How do you balance these? Also… how does what many would refer to as a ‘hobby’ change when it becomes your career? Many people have said that once a pastime becomes a job, you need a new pastime. Have you found that to be the case? The good thing about being a freelance musician and teacher is that there is a good variety of things that you might be doing from day to day, which means that you’re less likely to get bored! For me, I spend three days a week during the school term teaching violin, viola and a little bit of cello in primary and secondary schools and then I have some private pupils on top of this, so teaching makes up quite a lot of my time at the moment. On the days when I’m not teaching, I might have a rehearsal for my trio or another ensemble, do some private practice, do some research on teaching methods, plan lessons, catch up with teaching admin or listen to recordings of pieces I’m learning. It usually depends on what I’ve got coming up at that moment – if I have a concert or audition, then obviously I’ll do much more practice and make that my focus. The flexibility of this is really handy – if something comes up and I need to play in a concert at short notice, most of the time I’m able to make that work as my teaching can be shifted around to suit what I’m doing. I like that I get to travel around for my work and don’t stare at a computer screen all the time – I think I’d find it hard to work in an office all the time. Teaching is hard work but very rewarding – I find that the more you put in, the more the pupils take on board and the better the lesson, although doing this all day can be very exhausting! I have always taken my music pretty seriously and becoming a musician was my dream from a young age – but yes, you’re right that having music as a hobby and doing it professionally are quite different things. I think for many people, playing becomes just something they do to earn a living, but for me, I’m still at the stage where I’m learning so much and exploring what I can do, so I still enjoy playing immensely. Teaching is also a welcome addition to my skills – all in all, I feel lucky to be paid for doing what I really enjoy! I’m having enough trouble as it is learning violin, but I certainly know who to go to now with viola questions. Again, check out Ms. Wyatt’s own website for more information, appearances, and general viola goodness. Thanks again! This entry was posted in Articles and comment and tagged Favourite pieces for viola, freelancing, Fugue for Thought, Interview, orchestral playing, questions about the viola, Viola, Viola playing on July 28, 2014 by jesswyatt.